Fallout 76 is finally coming to Steam, at long last, so you can pick up the game there if you've been meaning to. Tired of not having Fallout 76 on Steam? Don't want to use the Bethesda Launcher anymore on PC? Are you still playing Fallout 76? You'll be excited to know that Fallout 76 is coming to Steam later this year. Rage 2, Wolfenstein: Youngblood, Wolfenstein: Cyberpilot, and Doom Eternal will be coming to the platform when they debut as well. It's interesting because instead of pivoting to the Epic Games Store, Bethesda is bringing its titles to Steam. Epic Games has been claiming several higher profile releases for its own, such as The Outer Worlds and Control, so to see that Bethesda has instead chosen to bring its titles to Steam is a puzzling development. And then there's Bethesda's launcher as well. It looks like the company could be looking to abandon it or at the very least not opting to make it mandatory for games going forward. 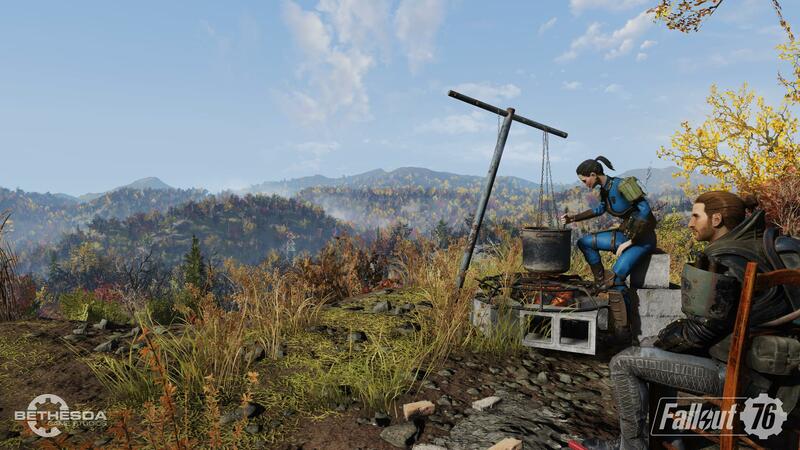 Last summer, Bethesda noted that despite having Fallout 76 as an exclusive to its store, it wasn't going to cut Steam out of the deal. There isn't any information just yet on whether Bethesda is planning on launching its games on Steam at the same time as when they launch on its own store, or whether the games will be coming to other platforms. Whatever the case may be, it's always a good idea to let gamers access new and old titles on as many storefronts as possible so that it's easier than ever to get the games we want to spend our hard-earned cash on. "Fallout 76 is a bit of a disaster, which is a shame because there are good ideas and good bits of content here. There wasn’t a single play session where I didn’t have a lot of fun, but there also wasn’t a session where something ridiculous didn’t cause frustration. It feels like it should have been released into early access as a work in progress for the next several months, thus alleviating some of the frustration from poor performance, bugs, and balancing issues." I assume this means it will be F2P. Perhaps not initially, but the end goal. However they have to understand this thing is going to take one hell of a zero day review bomb when it hits Steam.